The Ball State University Libraries GIS Research and Map Collection (GRMC) will provide a presentation celebrating the Bicentennial of Indiana on November 16 from 6:00 to 7:00 pm at the Cornerstone Center for the Arts (520 East Main Street). This presentation will feature maps from the Map Collection in Bracken Library and will also include custom Indiana history maps created by the GRMC to commemorate the Bicentennial. Some of the maps included in this special series describe events in the state’s political history, women’s history, civil rights history (above, click to enlarge), the automobile industry, sports, and music. 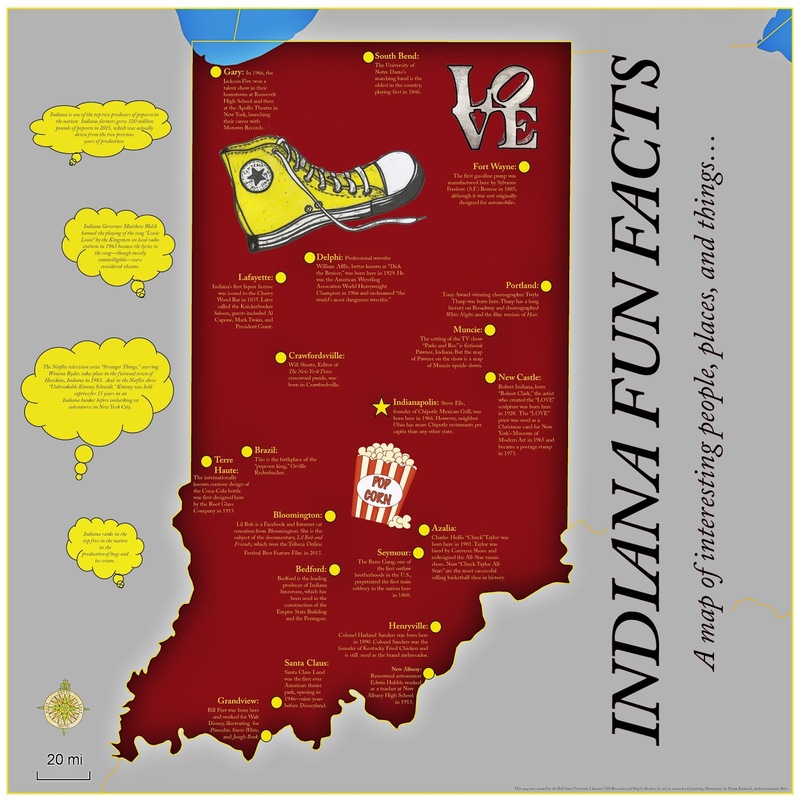 The series also includes maps featuring famous people from Indiana. One of the newest maps created for the project details the route of a bicycle road race across Indiana won by world champion Marshall “Major” Taylor in 1895. 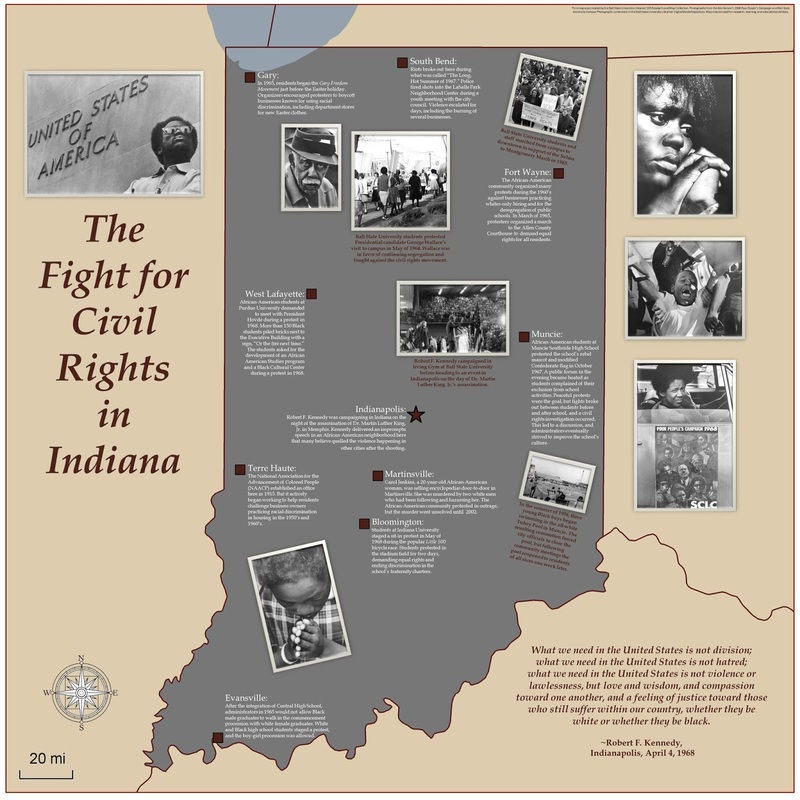 The maps include historic photographs from the Libraries’ Digital Media Repository. And copies of the map may be downloaded from Cardinal Scholar. (Just type "Indiana history map" in the search box). 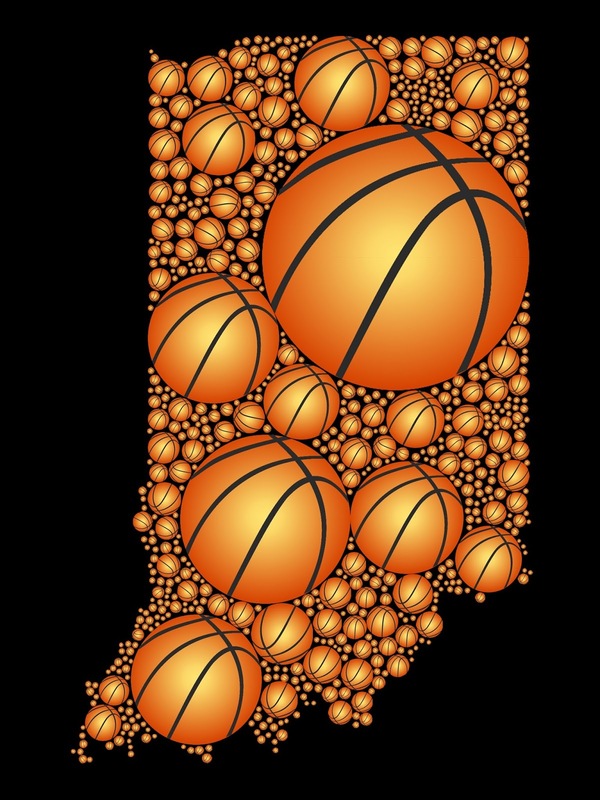 The presentation will also include maps of Indiana created by geography students in Dr. Jorn Seemann’s cartography classes. And information about how teachers can incorporate the maps into the social studies classroom will be provided. The maps will also be exhibited at Twin Archer Brewpub (117 West Charles Street) on December 1 as part of the Muncie Downtown First Thursday Arts Walk. This event will also include hand-drawn maps of Indiana from the watercolor class of Dr. Hannah Barnes from the Ball State University Department of Art. And Keith Roysdon and Douglas Walker will be signing copies of their new Muncie crime history book, Wicked Muncie.